VTrans is looking for career minded individuals who will rise to the challenge of a satisfying job in engineering but also appreciate the flexibility of work hours and guaranteed vacation and personal time. This position is for an experienced Civil Engineer to join our Structures and Hydraulics section. Design opportunities include foundations, roadway, traffic, structural bridge design, cost estimating, CADD drawings, and 3D modeling. To learn more about the work we do, got to https://vtrans.vermont.gov/highway/structures-hydraulics. Please Note: This position is being recruited at multiple levels. If you would like to be considered for more than one level, you MUST apply to the specific Job Requisition. 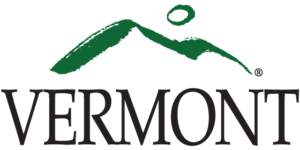 For more information, contact Carolyn Carlson at carolyn.carlson@vermont.gov or (802) 917-4891. Job ID # 1362, 1421 or 1422.